Is your drain clogged? Is it draining slowly? Is it blocked all together? Call today and we will take care of you! We Offer a 15% Senior Discount! Complete Mainline (Sewerline) Clearing Special! Call for more details! A.) Video Camera Inspection. B.) 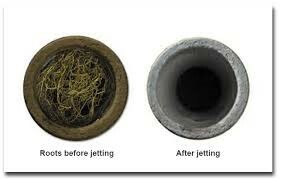 Rooter, Cable clearing of blockage C.) Advanced Hydro-Jetting Scrub, Flush, Sanitize, Rinse. $525.00 plus a 30 Day Warranty on all Mainline Blockages, 100ft limit. Rooter Special! Call for more details! Rooter, Cable (Sewerline) clear blockage of roots, debris, grease. 100ft limit. $325.00 plus a 30 Day Warranty! Call for more details! $350.00 Hydro-Jetting: high pressure water 6500psi cuts and clears debris, roots,grease. Highly effective to flush, rinse, and Sanitize Mainline (Sewerpipe). 100ft limit. Call for more details! United Sewer and Drain Cleaning Servicing Rhode Island, Massachusetts and Connecticut. United Sewer and Drain services Hotels, Commercial Businesses, and Residential. From drain clearing and cleaning services to complete solution fixes. Here at United Sewer & Drain we have a staff of technicians who have formed a reputation as problem solvers and thinkers who offer permanent solutions to all your sewer and drainage needs. Our staff has been proudly serving Rhode Island, Massachusetts, and Connecticut for over 25 years, our goal is to address our customers’ needs by resolving any water flow related issues. 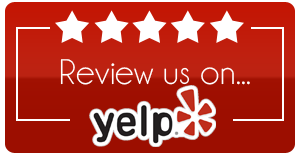 Rest assure, our technicians are skilled in all aspects of sewer and drain. We arrive on schedule, neat in appearance and always courteous. We will listen to your description of the problem. Once we have a full understanding, we will inform, advise, and explain what will work best for you, while keeping the repairs straightforward and within budget. Give us a call immediately for any sewer or drainage issues, before any more damage can be done. You may end up wasting time and money calling in anybody else. Let our seasoned professionals solve your sewer and drainage issue, and put your mind at ease. David was very professional. I would use him again.